We are dedicated to providing our patients with the finest eye care possible with excellence and compassion. We serve your needs with state of the art diagnostic technology and highly trained eye care professionals. We provide only the highest quality lenses and eyewear and the latest in contact lens technologies. Commitment to community, professionalism and superior personal service drive our core values. At Advanced Family Eye Care, we strive to provide comprehensive, primary eye care for the whole family. Preventative and routine eye exams are important to maintaining good eye health. Often, eye and vision problems do not have obvious symptoms or signs, but are easily diagnosed by a licensed optometrist. 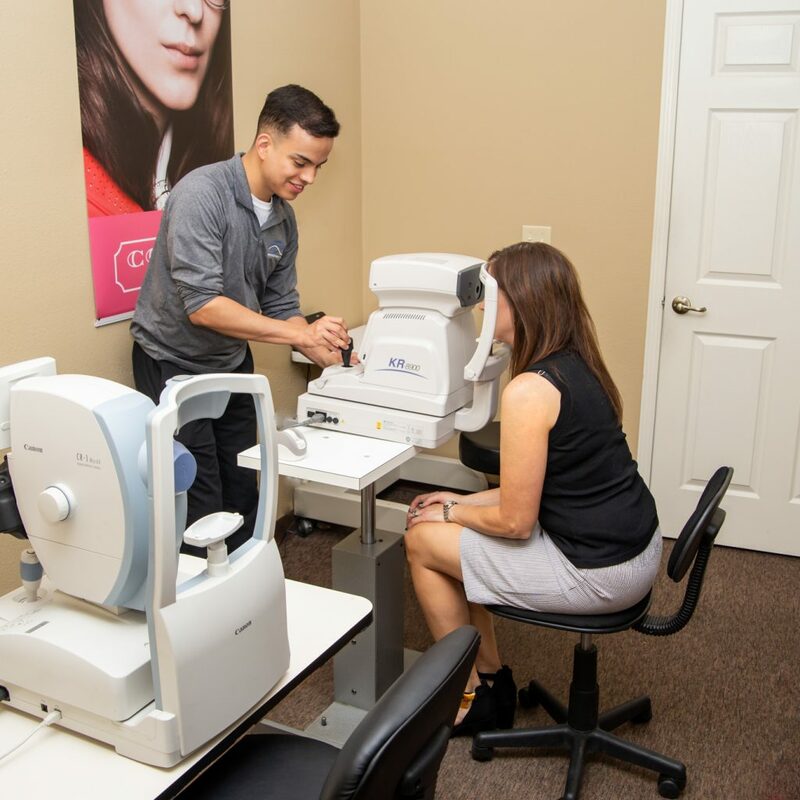 By diagnosing eye and vision conditions early on, our optometrists are able to provide treatment options and, in many cases, restore or prevent vision loss. The American Optometric Association recommends yearly or bi-yearly eye and vision exams, depending on whether you are at-risk or not. 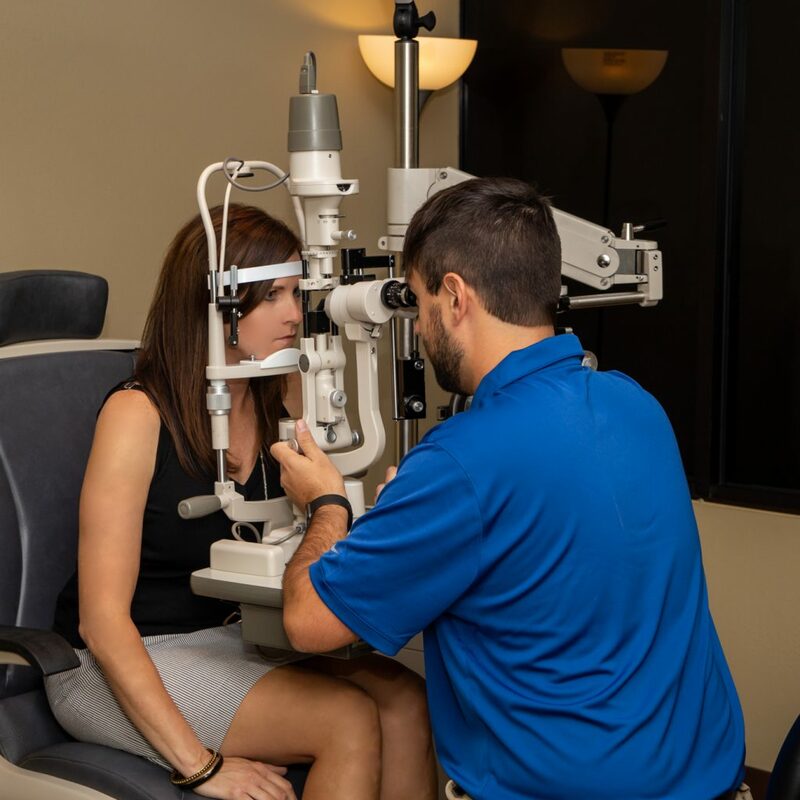 As part of our comprehensive eye exam, our doctors will examine the overall health of the eye through a visual examination, retinal photos and painless laser retinal scanning. We evaluate eye health by visually inspecting the eye and eyelids using magnification and a bright light. To examine the internal structures of the eye, we use the latest photo and scanning technology. This detailed look into the ocular structures ensures an earlier diagnosis and treatment of possible vision-robbing disorders. After completing these extensive tests, our doctors review the results and discuss any necessary treatments with you.